It wouldn’t be Easter without an easter basket so I thought I would share this easy kids easter basket tutorial with you. 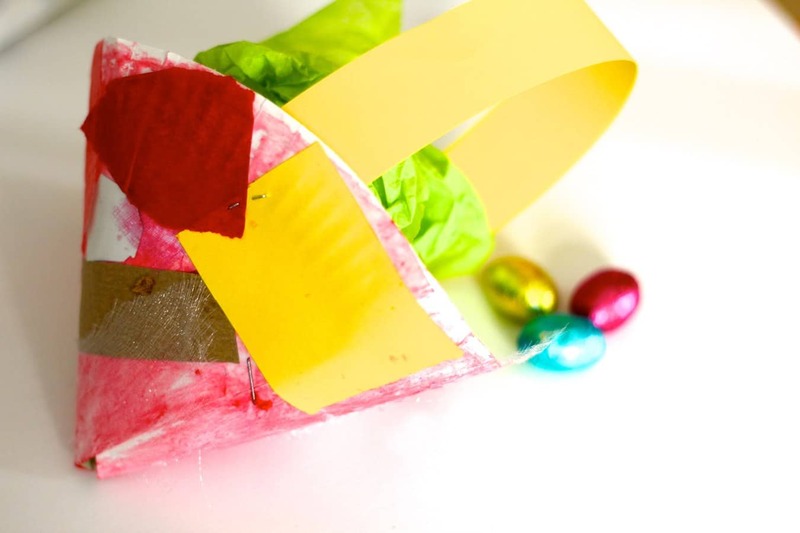 Fun to make with the kids over the holidays and somewhere to store all those eggs on the egg hunt! Cut out a small pizza slice shape from the paper plate and bend it into a cone shape and staple into place. Cut a long rectangle from the card to be the handle. Staple onto the cone so the cone is upside down and the rectangle is the handle of the basket. Get your child to decorate their basket how they wish with colouring pencils, pens and even gluing bits and bobs on for decoration. 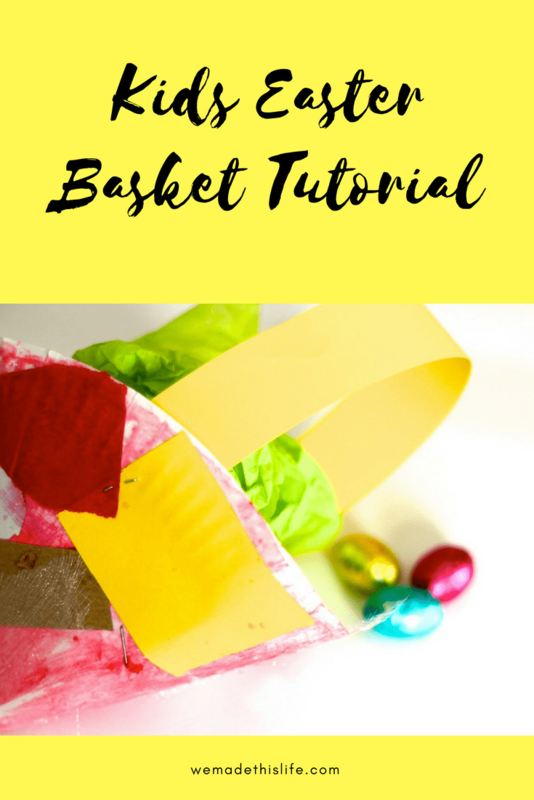 Fill with scrunched up tissue paper and there you have a really easy to make easter basket.